The concept of gold as an asset capable of getting anytime money is evaporating. Gold has traditionally been considered this country’s most liquid asset -- at any time, people were prepared to give cash against it. After the demonetisation, that has changed. Scrap gold dealers appear to be gradually shifting to cheque payment or net banking fund transfer. And, customers are not ready for this -- selling against cheque means it shows in the account book and long-term capital gains tax is applicable. The concept of gold as an asset capable of getting anytime money is evaporating. This payments revolution was taking place already but very gradually -- even farmers had started moving towards the banking mechanism for sale of produce. Suddenly, however, there is no cash in the system. Scrap gold is usually defined as gold sold and money received. 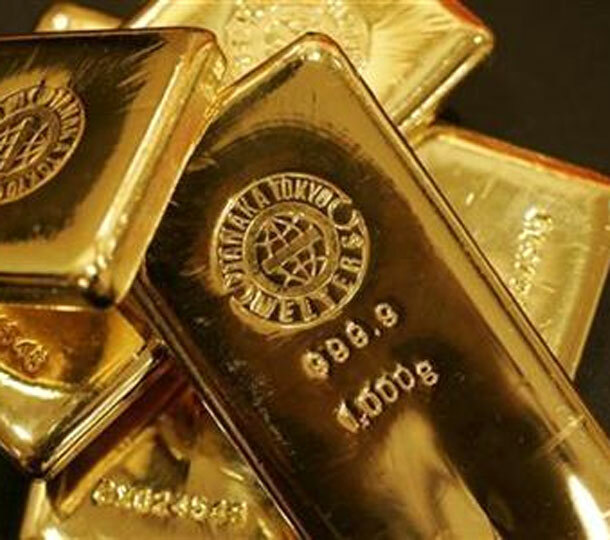 That market in India is 90-100 tonnes a year, according to World Gold Council (WGC) data. When gold prices are higher, the scrap supply rises, as seen in the June quarter this year. If one includes the market for surrendering old gold or jewellery against buying new jewellery, then the scrap gold market is estimated at nearly 300 tonnes annually. Earlier, his daily purchase was a kilo to 1,200 grammes of scrap gold; this has reduced to 100-200g a day. “The concept of gold as the most liquid asset has gone,” he adds. The demonetising of high-value currencies had initially disturbed trade at agricultural mandis (wholesale markets). Now, farmers seem to have begun accepting payment for their produce through banking channels, setting the stage for cashless agri-trade. “Farmers in most APMC (Agricultural Produce Market Committee) mandis in Madhya Pradesh have shifted to real-time gross transfer (RTGS) or cheque mode of payment. Those requiring instant cash to meet their emergency requirements are withdrawing it within the limit the Reserve Bank of India has fixed. Traders are adjusting among themselves to meet immediate cash requirements for payment to labourers,” said Rakesh Shrivastava, commissioner of the state’s Mandi Board. Trade sources, however, said that since November 8, transactions had declined 70%, due to the liquidity crunch. Minimum Support Price payment is also being made through RTGS. “Small traders, farmers and those who sell perishable commodities are in trouble. Sometimes, these farmers accept old currency notes. Soya growers are waiting, as they are expecting normalcy to return and better prices; this is now Rs 2,800-3,000 a quintal,” said another official in the board. 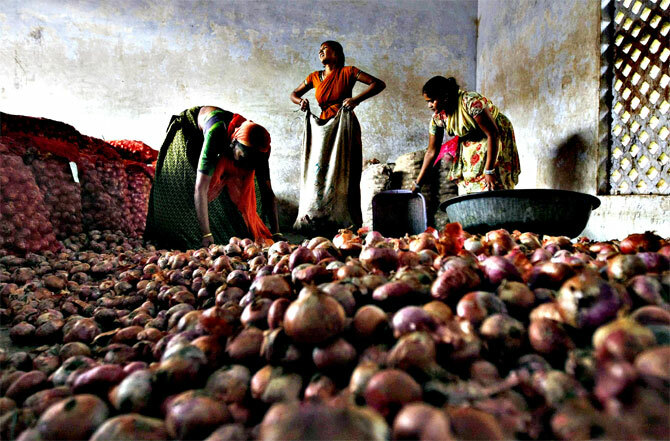 Madhya Pradesh has 257 mandis that largely buy soya, paddy, cotton and maize during the kharif season. While business in most mandis in Maharashtra has declined, it is steadily normalising with the easing of liquidity. In Rajasthan, however, “Farmers’ protest continues. Arrival of commodities into mandis has disappeared. This is likely to continue till easing of cash supply into the system, that is, in one to two months,” said Hari Narayan Yadav, secretary, Rajasthan State Agricultural Marketing Board. Mandis are open but trade has come to a standstill -- farmers are not willing to accept online transfer of funds or cheques. And, with the cash shortage, most APMCs in Gujarat are not operational. Traders are ready to pay by cheque but farmers are not accepting it -- they have accounts in cooperative banks, which still face several restrictions. “Farmers cannot get sufficient cash from co-op banks and that’s why they are not accepting cheques,” said Raman Patel, chairman, Gujarat State Agricultural Marketing Board. In mandis where farmers have agreed to accept cheques, business has started. Gondal is one of these. The Rajkot APMC is optimistic. “We have asked farmers to bring their commodities and take payment by cheque till the situation improves. We hope they will come from tomorrow,” said D K Sakhiya, its secretary, on Wednesday. At Unjha, largest jeera (cumin) mandi, the season (and for coriander seed and isabgul) is yet to begin but trading happens among traders and exporters through banking channels. Mother Dairy, one of the biggest sellers of milk in North India, has decided to insist on making payments directly into the Jan Dhan account of farmers. Amul from Gujarat had already shifted to that model prior to demonetisation. Mother Dairy procures around 3.5 million litres of milk daily, of which 30-40% is contributed by farmer producer companies where farmers have their accounts. Another 15% of milk comes from cooperatives and they have their own methods of making payment. The rest is private procurement, where payment is made through banks. “We usually make payment to farmers in two-three cycles a month. The first payment has been made and the second payment cycle will begin in the next few days. We need to see what impact demonetisation is having in the rural sector,” S Nagarajan, managing director of Mother Dairy, said. An estimated 700,000-800,000 farmers, mostly in the north, are associated with Mother Dairy. Fertiliser major Iffco said in places where retailers have a direct and long-standing relationship with farmers, sales are on credit. Where this arrangement does not exist, it is insisting on same day or post-dated cheques from farmers, verified through their bank accounts. “Through this method, we ensure farmers have made payment in cheques for which they have adequate balance in their accounts,” a senior official said. About 100 APMCs in the south, led by most of those in Karnataka, had already shifted to the electronic online platform operated by NCDEX eMarkets Ltd. However, payment to farmers in electronic form is present in very few mandis. Even so, after the demonetisation, Rajesh Sinha, chief executive at NCDEX eMarkets, said: "We have started getting requests from mandis in Gujarat and Andhra, in addition to Karnataka, for shifting to electronic fund transfer for farmers who are selling their produce on the electronic platform." What happens to the money you deposited?